There are few things better than going through the process of finding some wonderful new technology and then ultimately making the purchase. The excitement of checking out and waiting for that package to arrive has been proven to release endorphins, which is likely why retail therapy is so subjective. However, if you can have that exact experience, but save money along the way, then that’s even more of a result. That’s where our tech deals come in. Starting off we have a wonderful deal on the original iPad Air, which comes in at 32GB and a price reduction of $100, which brings the price down to $240 only. 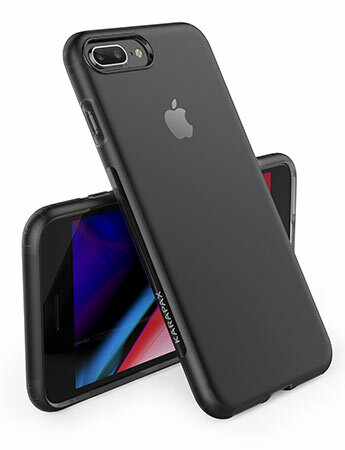 Next up, is a beautiful iPhone 8 Plus case for just $7.99, followed closely by a USB-C Hub packing a host of connectivity options for a mere $34. 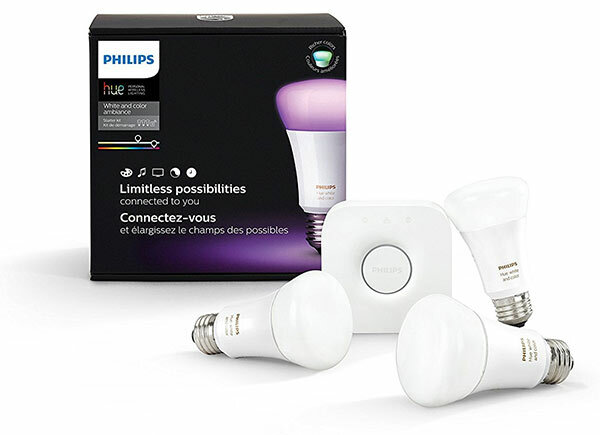 There’s also the Philips Hue starter kit for $140. Last but not the least, we have a smart 4-set Yi Home security camera system for a mere $105. As always, make sure you act quickly to grab the product of your choice from the list here as these deals are usually time sensitive and subject to stock levels. Enjoy the savings! Apple is throwing iPads out into the public domain like there’s no tomorrow. Once upon a time, we used to have one or two to choose from, now we have multiple models with multiple different display sizes and capabilities. 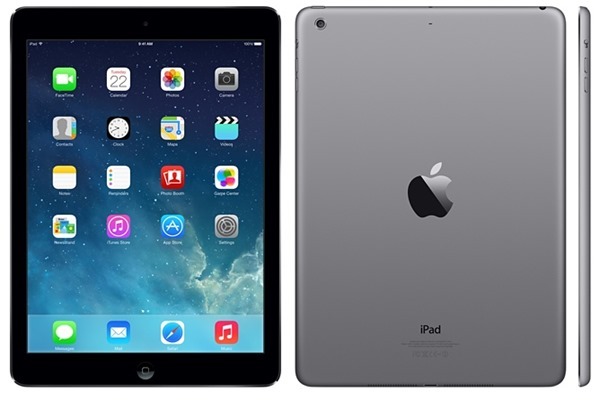 This particular deal is a certified refurbished iPad Air with a 32GB internal capacity. It comes in Space Gray and offers an Apple A7 chip with 64-bit architecture. If you have taken the opportunity to purchase the beautiful new iPhone 8 Plus, then the chances are that you are going to want to protect it as best you can. Thanks to Anker, you can do so for a relatively small cost, with this wonderful TPU-based semi-transparent case with matte finish costing less than $10. Slip your device in and instantly get peace of mind. Best of all, you can grab the case for as little as $8 using the following promo code at checkout: KRPX1004. Apple’s new MacBook Pros are beautiful, there can be no denying that, but they are also capable of injecting anger into people instantly due to the fact that the company now offers two USB-C ports which immediately means existing accessories cannot be used. 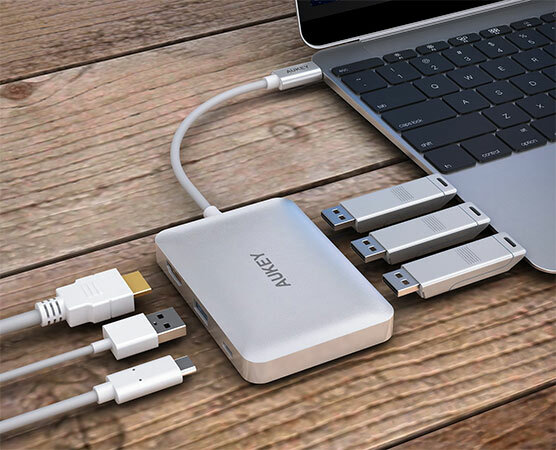 This handy little piece of kit gives you an adapter which offers 4 USB 3.0 ports, USB-C Power Delivery, and HDMI capable of delivering 4K. Even better, you can purchase the hub for as little as $34 using the following promo code at checkout: AUKEYCC6. Sometimes you just need to treat yourself and create a stunning atmosphere in your home by bathing it in an intelligent light. This Philips Hue Starter Kit gives you everything that you need to get up and running with light-based home automation. With this kit, you will get three A19 Smart LED bulbs, the necessary Bridge needed to connect it all together, and access to the free-of-charge Hue app. Here is the perfect opportunity to keep an eye on your kingdom in 720p high-definition. This little beauty not only captures images, but also records full video and has two-way communication and 4x digital zoom. You can even grab a month free access to the YI cloud platform if you want to investigate the potential of having content stored forever. 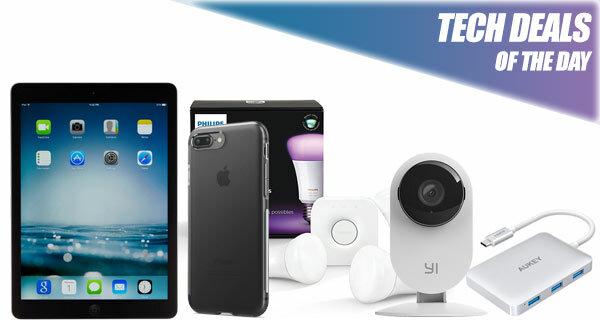 Best of all, you can get the 4-set camera system for a mere $105 using the following promo code at checkout: 6ZKY83CN.